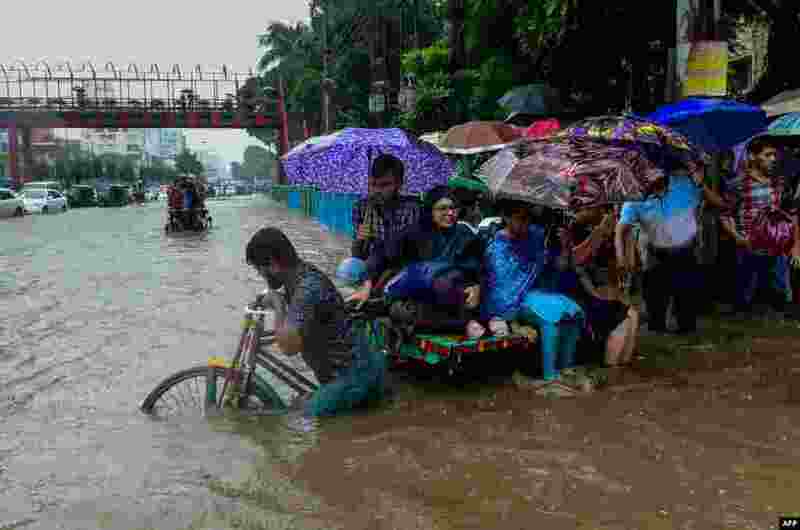 5 Commuters use a rickshaw to cross a flooded street amid heavy rainfall in Dhaka, Bangladesh. 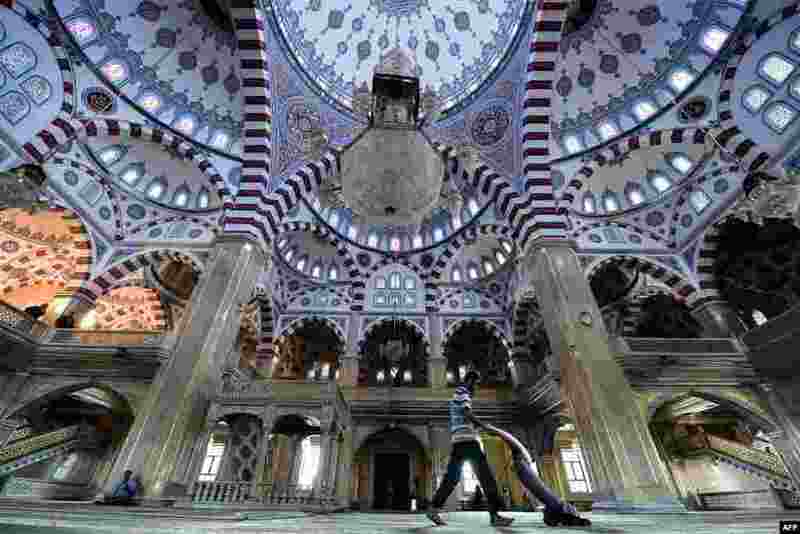 6 A man cleans inside the Heart of Chechnya - Akhmad Kadyrov Mosque in central Grozny. 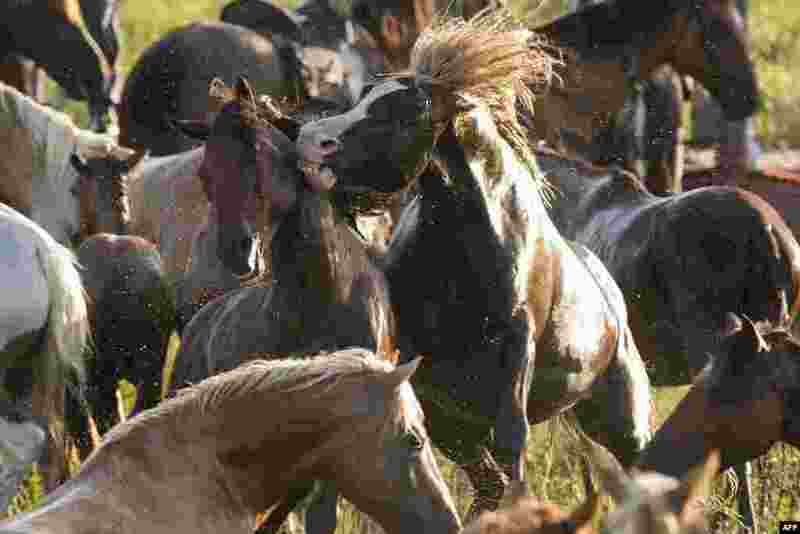 7 Assateague wild ponies rear up on each other during the annual Chincoteague Island Pony Swim in Chincoteague Island, Virginia. 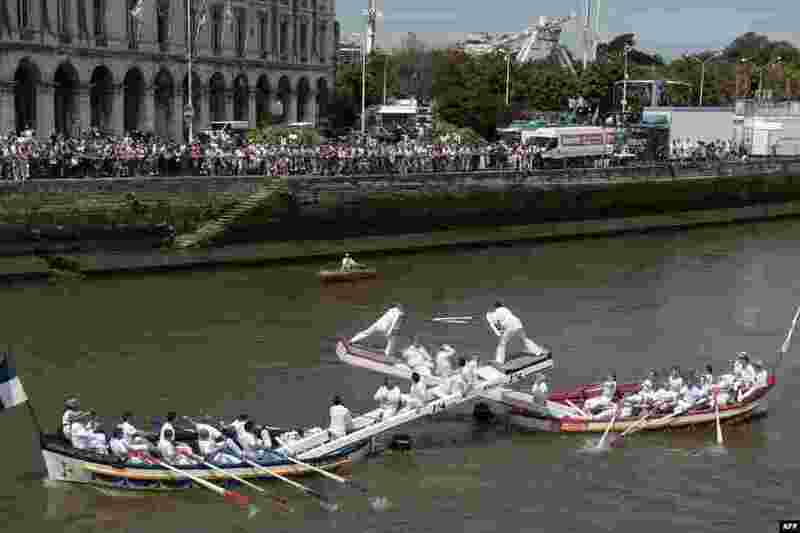 8 Crews take part in the traditional "joutes languedociennes" boat competition on the Nive River in Bayonne, south-western France, during the typically Basque Bayonne Festival (Fetes de Bayonne).